Toner is not something I used regularly. 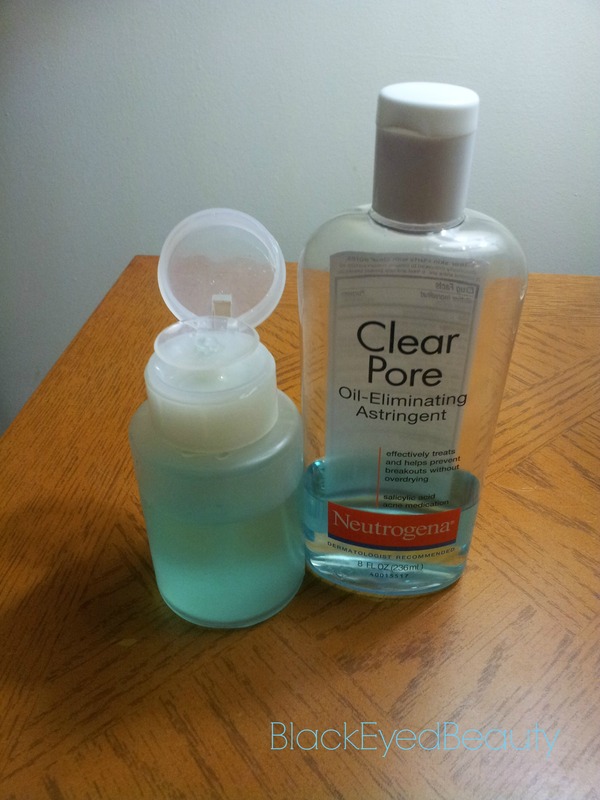 I had got the Neutrogena Clear Pore Oil Eliminating Astringent long ago here. But I dint use it regularly for a very long time and decided to do so. I have almost finished it and here is the review. Quantity: 8 fl. oz./ 236 ml. I have very recently incorporated toner in my skincare routine after having a bout of acne breakouts. 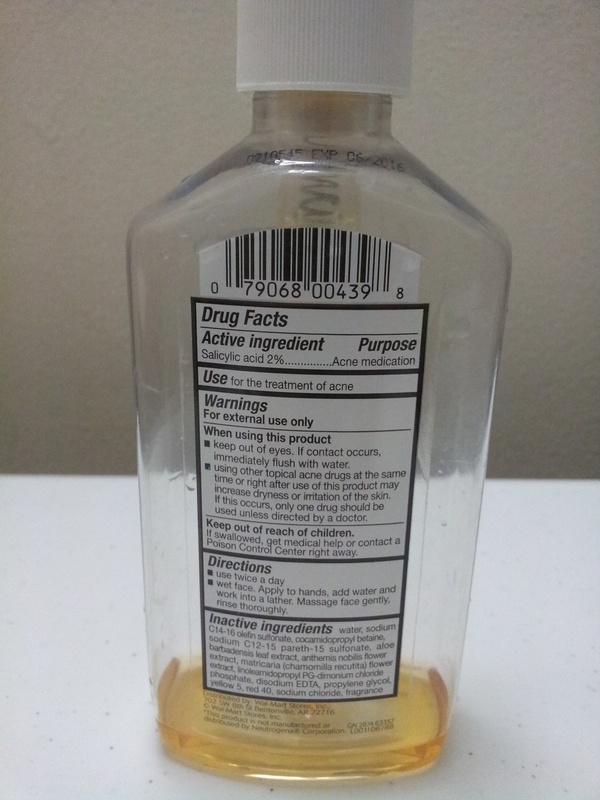 I had this tall bottle of toner but had never used it regularly. I can definitely see positive results with its regular use. Although it comes with a flip top cap, I have transferred this to a sanitized pump bottle for convenience. 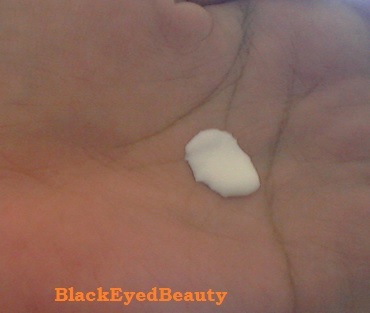 I use a cotton ball to apply this evenly all over my face. 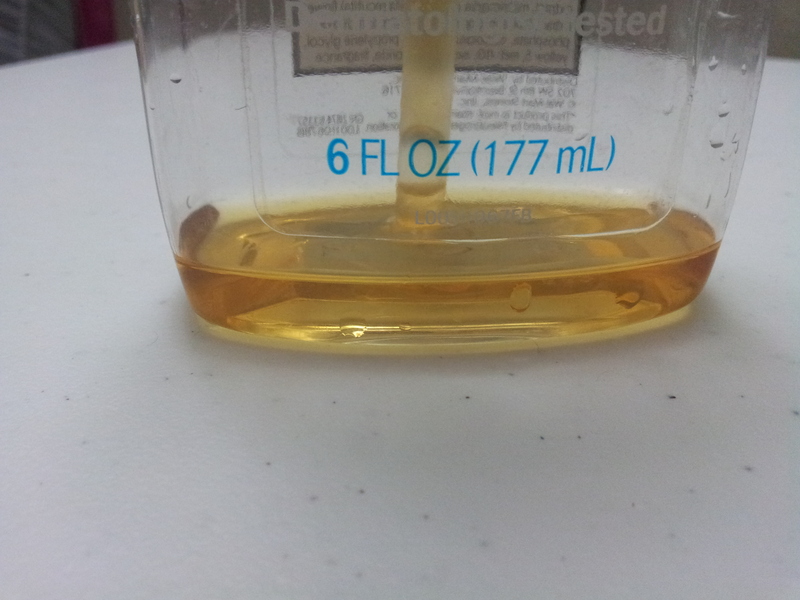 My major concern is the content of alcohol in this toner. The fumes are very strong when you are applying it on your face. It stings a wee bit but after a while of using this, you get used to it. Once it dries up, all that feeling is goes away. 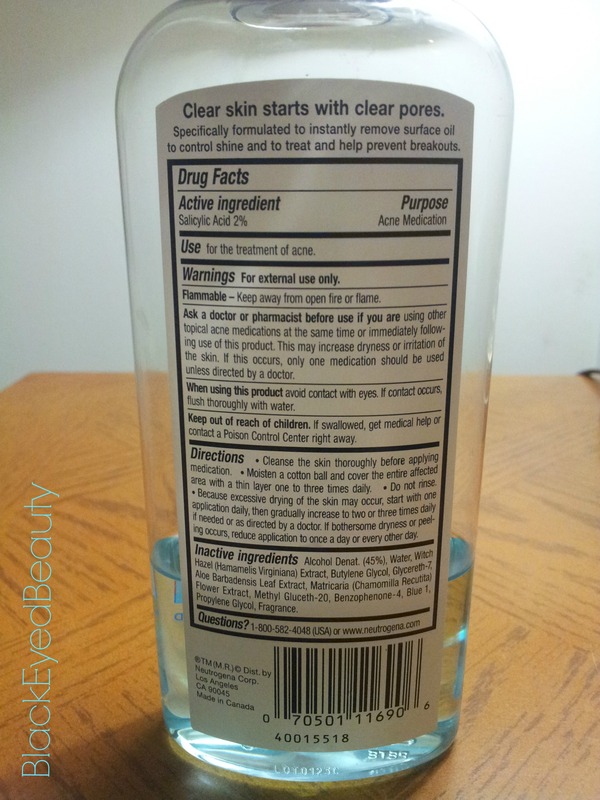 True to its claims, it doesn’t dry out your skin at all and I can see an improvement in my acne prone skin. It contains salicylic acid which is an effective acne treatment. I feel it pulls out the gunk from my pores. I like how it makes my skin feel especially when I use it in the summer. It keeps my skin from getting oily. Once I finish this up I will be trying other brands too and find a ‘non-fumy’ one which is as effective as this. This is good quantity that is going to last me a long time. I do like this product. 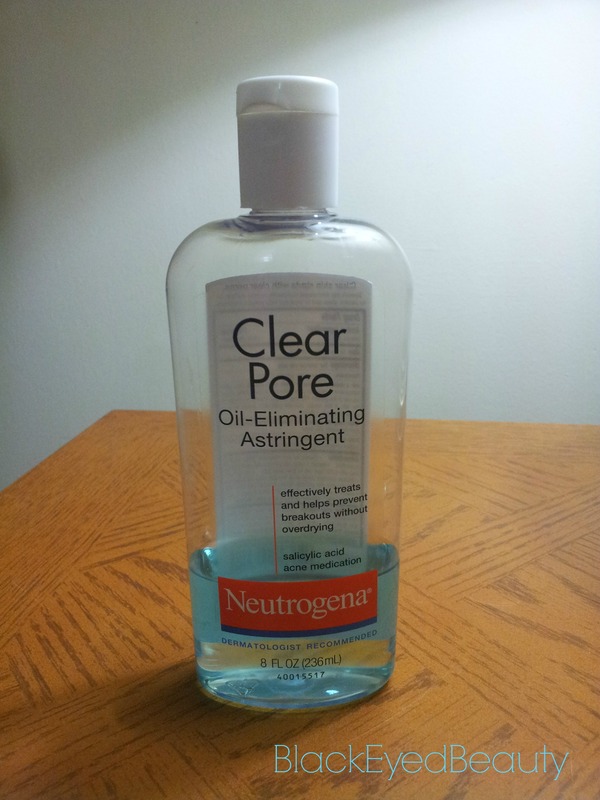 If you are someone who has an oily or combination skin which is acne prone, I think you should give this product a try. Will you repurchase? If I don’t find an effective and better toner, I will come back to this. I never understood the importance of sunscreen until I moved to the East Coast. 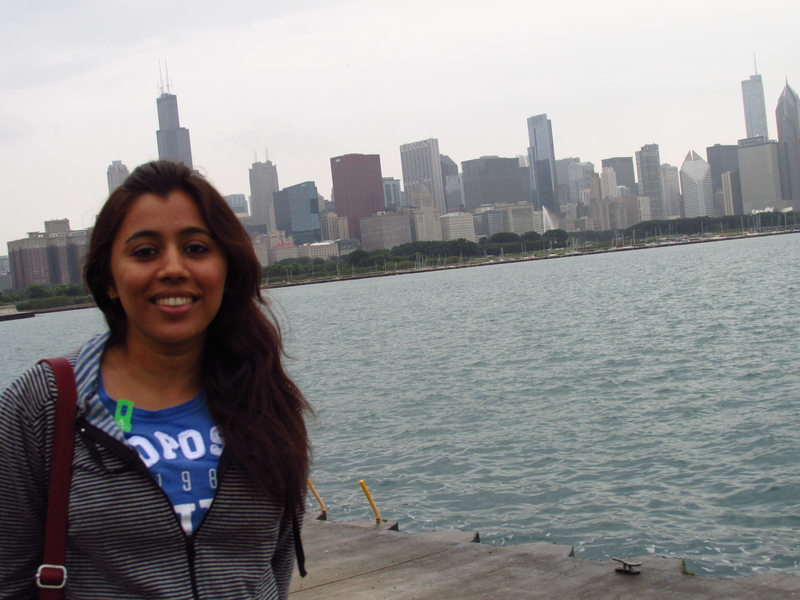 I dunno about the winters but the summers are definitely the worst ones I have ever experienced. I got these two sunscreens with me from India. Now that the fall has begun, I have been irregular with my use of sunscreen. I decided to do a post on these before I completely forget about them, as they totally deserve a mention. As I have said before, I have a very sensitive skin which is also acne prone. My cheeks and the areas having acne turn red when exposed to the sun. I am very cautious when it comes to choosing products for my skin. I was also under prescription medicines for my bad skin. I realized that the sensitivity also occurs due to the prescription medicines and should not be exposed directly to Sun. I have used the ‘ultra sheer body mist sun block’ for my hands and other exposed parts and the ‘ultra sheer complete UV moisture’ for my face. I am completely impressed with the quality of these products. 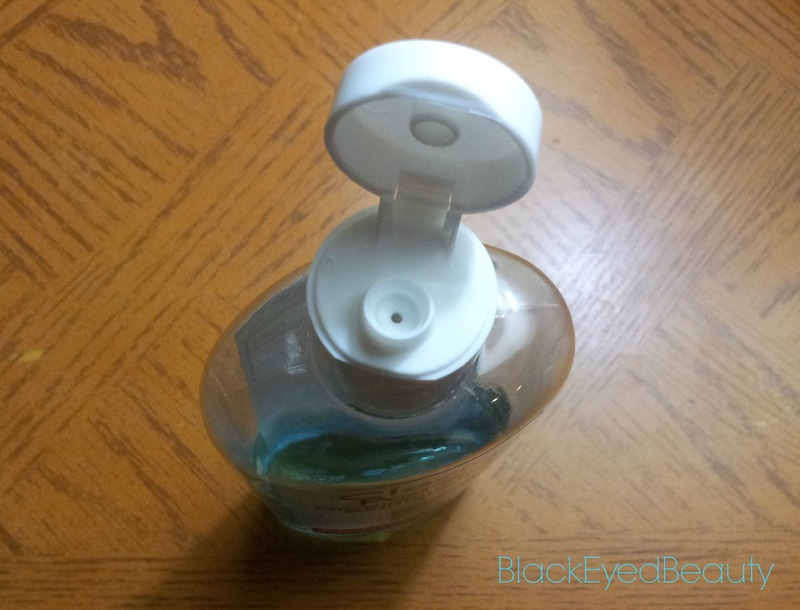 Ultra sheer body mist sun block: This sun block is very easy to use as it comes in a spray can. All you do is spray it on your skin and rub it in your skin for a few seconds and it disappears into your skin. It doesn’t leave any whitish cast on your skin like the other sunscreens do. 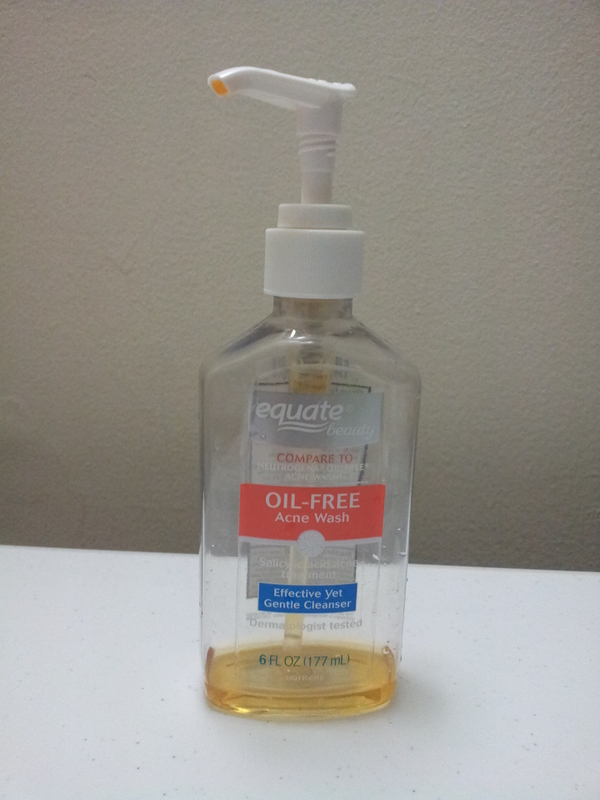 Initially I thought jus spraying it does the job but it left my skin a little greasy. So I started rubbing it onto my skin and it worked very well for me. This is a huge can and I can tell there’s still 1/5th remaining after using it the entire summers. This can be used on the face too. This needs to be sprayed onto your palms then apply it on the face. 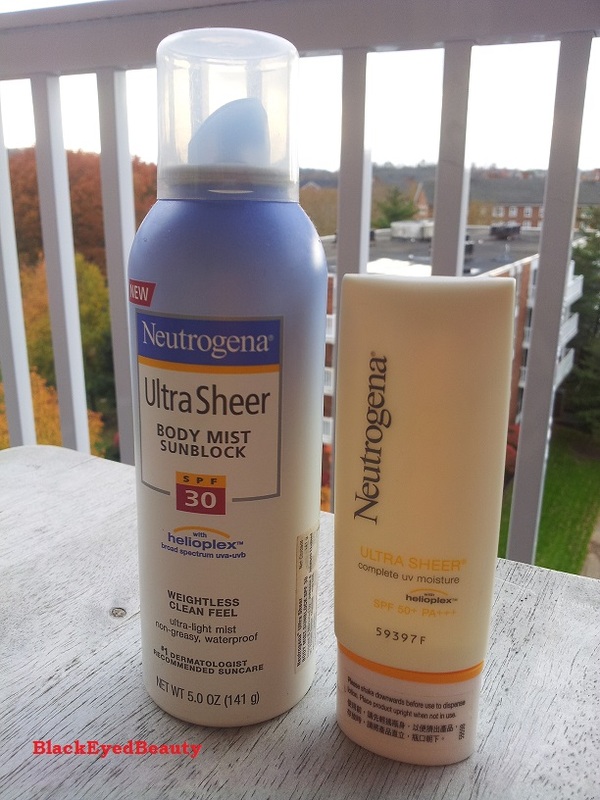 Ultra sheer complete UV moisture: Well this acted as a sunscreen and a moisturizer. I never had to use a moisturizer when I was using this. The product can also be used as a make base. It didn’t break my skin out in any way neither did it make skin oily. After applying this I used a huge fluffy brush and my Avon loose powder on top of this and my skin looked nice all day. This is a tiny tube. I used a good pea sized amount every morning, it lasted me the entire summer and it still has a tiny bit left in it. Will I repurchase? Yes, I will buy the one for face. As far as the can goes, I would like to try the other brands that are available in the market. Also, I am yet to use the dry touch SPF 50, the third one in the pic. 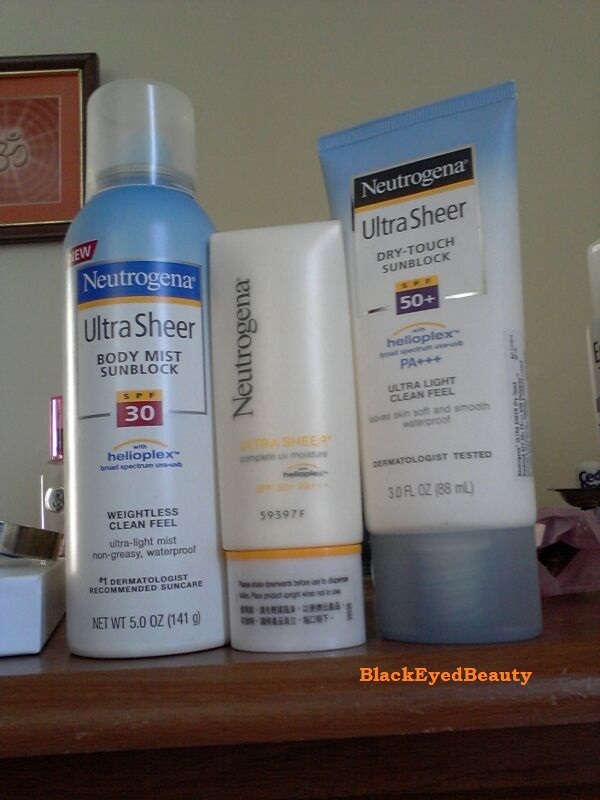 I am totally in love with the brand Neutrogena. I had previously got a lip balm from them and I didn’t like it at all. I didn’t have much expectations from these when I started using these sunscreens. Now, ssI have bought their oil free moisturizer and will review it after using it for a good amount of time. Disclaimer: Product sent by brand for consideration but my honest reviews.